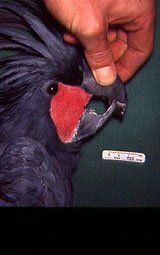 Some can be easily repaired by re-contouring with an emery board or sand paper like the over grown beak of this Palm Cockatoo, which was fed an improper diet lacking in abrasive wear. 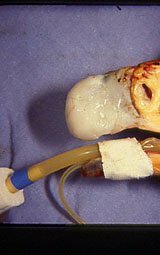 With some . 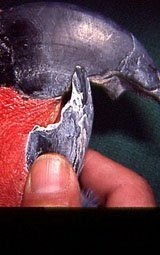 . . the process of repair is more trouble than the initial problem, and should not be attempted, like this old traumatically fractured mandible of a Crown Crested Pigeon, which resulted in the asymmetrical, yet completely functional growth of its lower jaw. 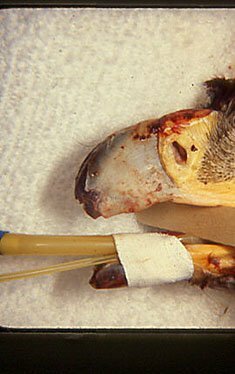 which was fractured and ripped off when the bird flew into a steel pole. 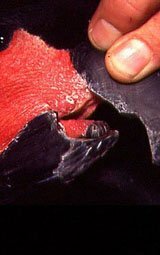 With the un-orthodox application of some orthodox dental materials, the bleeding was controlled; the wound was cleaned & protected; and encased in a dental composite “bandaged”; and allowed to heal, much like the long term healing of a traumatically injured finger or toe nail. 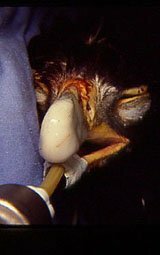 90 days later, with a lot a luck and the obvious cooperation of the bird, the “bandage” had fallen off; the beaks had finally begun to grow ( the new gray area ), but the bird had a long way to go to become an eagle again. 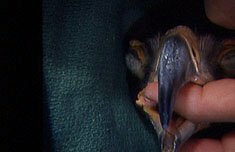 During the next two years, on a daily basis the bird was closely observed, and the beaks grew. 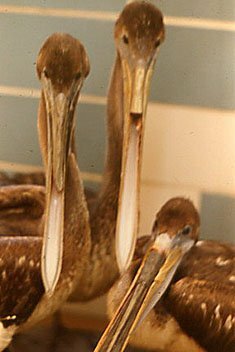 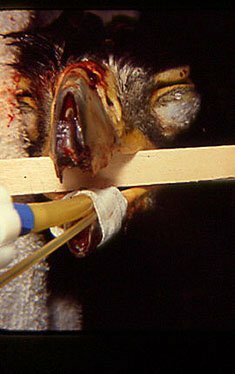 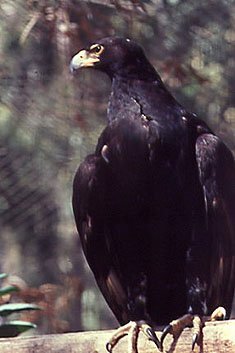 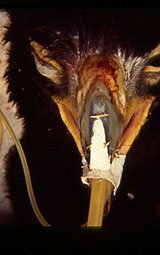 At regular 30 to 60 day intervals the bird was restrained, immobilized, the irregularly growing beaks were cleaned, disinfected, trimmed, adjusted for length, re-contoured, and released. 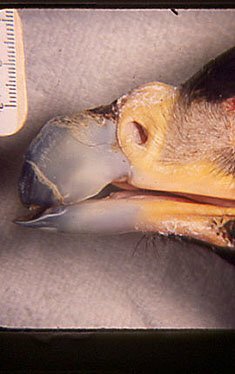 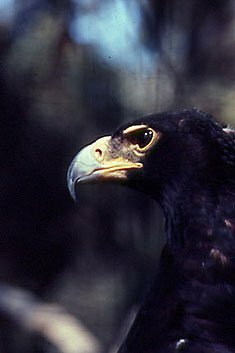 And finally, all of this attention to detail and care paid off, when this Eagle’s face and beaks returned to normal form, appearance, and function.